Willard Earl Colgan – Born December 24, 1932, passed away June 3, 2017. Preceded in death by his father, Eugene Colgan; mother, Lillian Patton; step mother, Helen Colgan; his granddaughter, Jayme Colgan. He is survived by his wife of 65 years, June Colgan; sons, Kenneth (Sheri) Colgan, Phil (Ruth) Colgan and Steven (Rhonda) Colgan; grandchildren, Wendi Colgan, Tamye Colgan, Rob Colgan, Tyler Colgan, Austin Colgan, and Ryan Colgan; great grandchildren, Dylan Wall, Kendall Wall, and Dean Colgan; sister, Betty Ricci. He was a veteran of the Korean War. 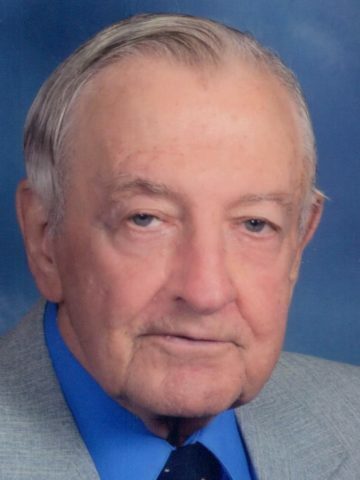 Earl was the owner of Colgan’s TV Sales and Service and Colgan’s Construction Company. He was a member of the Western Hills Church of Christ. A Graveside Service will be held on Wednesday, June 7, 2017, at 1:00pm, at Woodlawn Memorial Park. Daryl Demonbreun will officiate the service. Visitation will be on Tuesday from 2:00pm until 8:00pm at West Harpeth Funeral Home. Very fond memories as a child going up on Charlotte Pike to the TV Shop with my parents. Was a very sweet man. Prayers to you Steve, Phil and Family. My deepest sympathy for your loss. May your fond memories of Willard continually lift your spirits. May you also remember the promises of our Heavenly Father Jehovah. He will swallow up death forever and soon end all our suffering. (Rev. 21:3-5; Isa. 25:8) May His promises comfort you during this difficult time. My deepest sympathy to the family. He was a wonderful person will be missed. Such fond memories of you all. Mr Colgan was a special man. He will be missed by all who knew him. My sincere condolences to you all. Hold tight to the Faith that I know you have always held on to. Heaven just keeps getting brighter these days… May God bless you all at such a trying time, and prayers for all of your families.